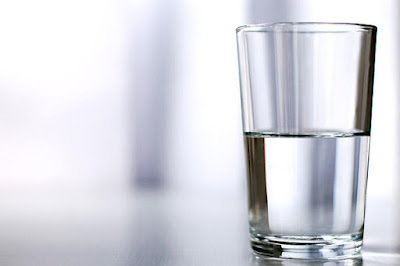 For as long as I can remember (which some days is not very far back, lol) I have been a glass is half full type of gal, an optimist at heart. Don't get me wrong, there are days that I can lean towards pessimism, when I can wallow in my troubles, when I can think all hope is lost but when that happens, if I stop and and count to 5.....I realize that my focus is not in the right place. That means it's time for an attitude adjustment and time to look towards God. "If the spirit of God is within you, optimism is the order of the day. It's part of your spiritual birthright. Optimism isn't at odds with the reality that is all around us. It simply means we're anchored to another reality-the crucifixion and resurrection of Jesus Christ-that is deeper and stronger and longer than he reality we can perceive with our five senses." It can sometimes be hard to be an optimist in our fallen world. There is so much sin, destruction, heartache, etc....in this world that it can be easy to focus on all of it. That is why we have to focus beyond this world and know that He has overcome the world. We have an eternal place with him if we only accept it. When we are in tune with the Holy Spirit, then we can look at the world a little brighter. "When it comes to faith, we rely far too much on circumstantial evidence. Doubt is letting our circumstances dictate how we feel, what we believe. When we let our circumstances get between us and God, it creates a smoke scree of doubt. Faith is relying on the direct evidence of Scripture. Faith is putting the promises of God between you and your circumstances. It doesn't mean you deny reality. It simply means you're in touch with a greater reality-a reality that is far more real than the reality you can touch or taste or see or hear or smell." I am trying to focus on the greater reality. The glass is always half full because Jesus Christ overcame this world! God is bigger than this world! Optimism is easy when we are focused on Him and allowing the Holy Spirit to guide us.